Co-founder of EXHALE Pauline has practised Yoga for over 25 years and is teaching full time for 15 years. She received her initial teacher training qualification from YTTC and has done a post graduate course with YTI. She continues to study all styles of Yoga under the guidance of many different teachers. Pauline's teaching style is classical Hatha focusing on precision of movement to increase body awareness, strength and muscle tone. Her classes include breath work, relaxation and posture work which help maximise the holistic healing a Yoga class can bring. She is also a qualified Pilates instructor, Massage therapist and Reflexologist. Pauline offers group and private tuition at EXHALE. 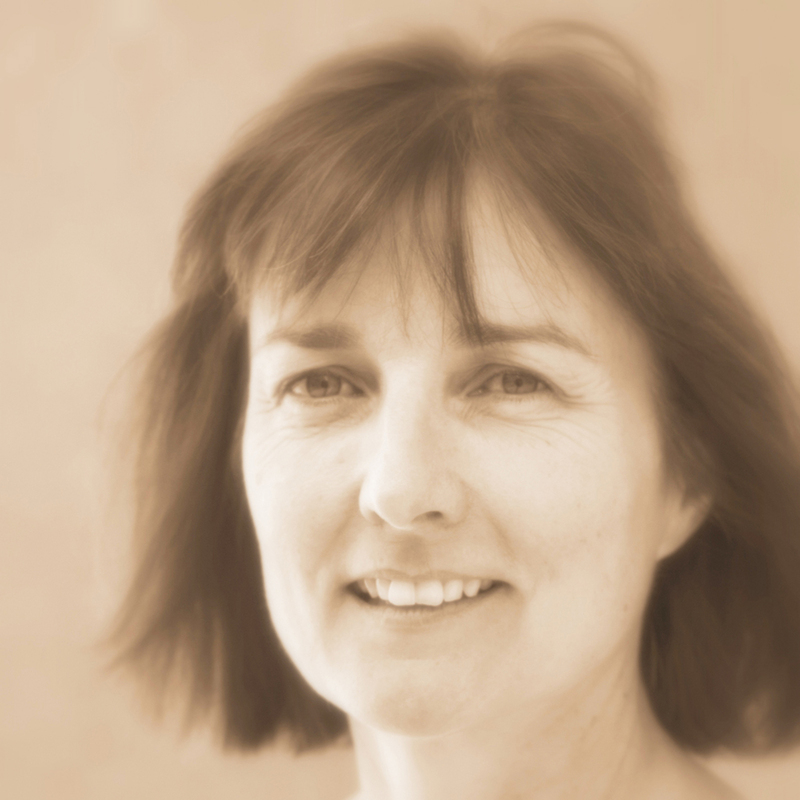 Caroline Chambers is a Chartered Physiotherapist and Stott Certified Pilates Instructor. Her years of experience treating sports, neck and back injuries lead to her seek out a researched, structured exercise technique to use with her patients. After a few years of studying Pilates in Dublin, New York and Oxford, she gained her full Stott Pilates certification in 2007. Caroline loves sharing her wide Pilates experience with her patients and Pilates clients alike. In her classes she puts a strong emphasis the essence of Pilates, namely deep core, alignment and postural awareness. Caroline offers a variety of classes; Beginners, Intermediate, Advanced Mat work, Over-65’s class & Post-Natal Pilates. She is also available for 1-1 instruction in mat work and all Pilates machines (Reformer, Stability Chair, Cadillac, etc). Originally from Texas, Christie Seaver is now based in Dublin, where she is owner of D4 Pilates, and runs classes from Exhale Studio in Sandymount Village. A former ballet dancer, her teaching emphasises the classic fundamentals of Joseph Pilates, believing that it can create what he called the “unique trinity of a balanced body, mind and spirit.” Christie regularly returns to Houston to train with her mentor John Gossett, owner of Pilates Concepts of Houston, and has developed Ballet-lates™, a unique way to get strong gracefully through a combination of Pilates and Ballet. Christie passionately believes that Pilates is for life, not just the studio. In addition to a podcast, she developed the Pocket Pilates App for iPhone to empower people through Pilates, whether at work, at home, en route or at home. A former journalist, Christie is also ballet critic with The Irish Times newspaper and is always thankful that Pilates keeps her in touch with the joy of movement. Having practiced yoga for over ten years, it wasn't until Sharon was living in New York that she decided to explore teaching and became a Vinyasa, Hatha and Restorative yoga teacher. For Sharon yoga is about self exploration and self care, and her thoughtful and innovative classes reflect this. Students can expect care in the choreography, personality in the words and a carefully selected soundtrack for each class. Follow Sharon on Instagram @yoga_notices for daily positivity and wellbeing posts. Lesley qualified as a Hatha yoga teacher with Yoga Therapy Ireland and has been practising yoga for several years. She studied with Calm For Kids in London qualifying her to teach children's yoga. Lesley has been working with children of all ages for 13 years and has several qualifications in this area. She has found that yoga for children and teens can help increase their concentration and self-esteem. Lesley teaches child specific yoga through drama, stories, role-play, music, art, discussion, group work, visualization and relaxation. Lesley feels yoga is for everyone and has seen the benefits for children, teens and adults alike. Since competing at a provincial and national level in athletics as a teenager, fitness has been a constant and important part of Gráinne’s life. She first qualified as a fitness instructor over twenty years ago and holds an EQF Level 4 certification from NTC in Fitness instruction and Personal Training. Her passion for Pilates developed in more recent years, with the need for an exercise system that could assist with injury prevention and rehab and is suitable for all ages. She holds an Advanced Diploma in Pilates Matwork (incl. small equipment and special populations) from NTC. Gráinne teaches open level mat classes and Personal Training sessions at Exhale. She offers Personal Training sessions for 1-to-1, 1-to-2 and 1-to-3. The small group sessions offer an opportunity for friends to train together, support each other and of course have some fun. Her aim with both her Pilates and Personal Training classes is to make them accessible, enjoyable and challenging for all who participate – and of course to deliver results. She also offers a focused Six Week Programs for small groups. Paula has practised yoga for over 12 years trying many different styles before finally committing to Iyengar, after experiencing the benefits of improved body awareness and physical health that yoga brings. Paula went on to become a certified yoga teacher in 2013 after completing her teacher training with Aisling Guirke in the Dublin Yoga centre where she continues to study with International senior Iyengar teachers. Iyengar Yoga concentrates on precision of postural alignment. Students are able to achieve the benefits of each Yoga pose through the use of props, gentle adjustments and attention to detail in teaching. Safely building flexibility, stability, strength and well being.